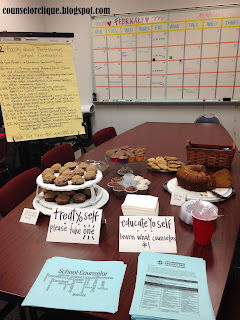 We let all teachers know that they should come and TREATYOSELF and EDUCATEYOSELF. 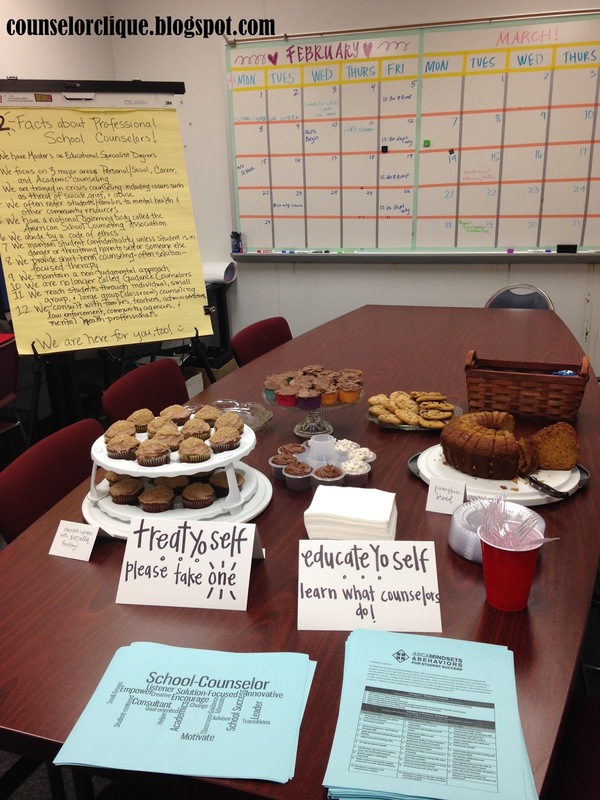 Nothing brings teachers and faculty to one place more than delicious treats. We put some out at lunch and let everyone come by and grab something. Of course, there always has to be a catch, right? We also asked them to read "12 Facts About Professional School Counselors!" and take away a handout about the ASCA Mindsets and Behaviors. Here is the "ASCA Mindsets and Behaviors of Student Success"
that we asked teachers to familiarize themselves with. 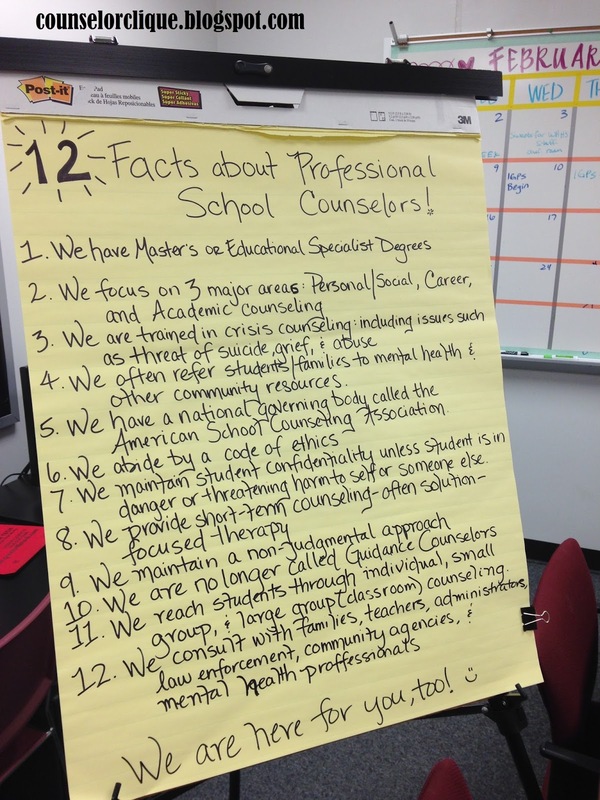 How are you letting your faculty and staff know what you do as a school counselor?